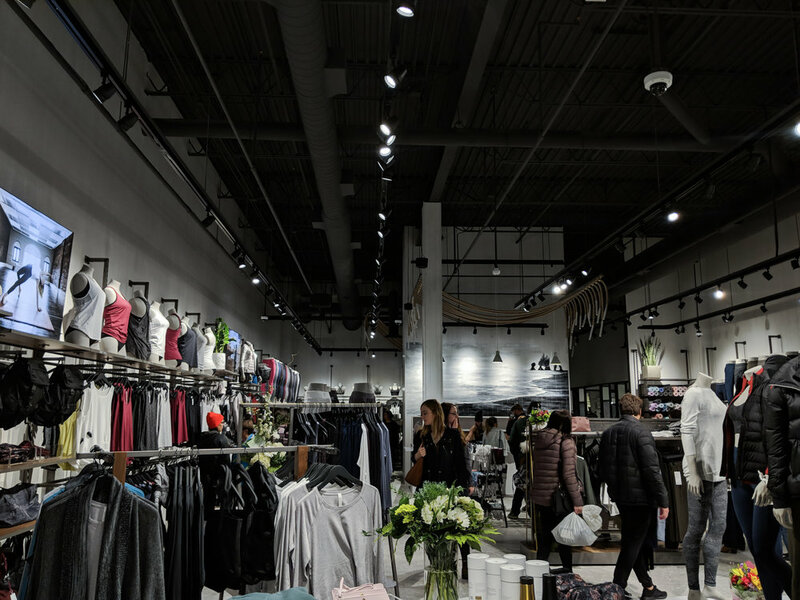 I love this project because after viewing the inspiration behind the store, the mood boards and their store visions, I had complete creative freedom to create what I thought would best fit the store, my style, and a representation of New Brunswick. Pinch me. The ocean is so special to me, and growing up in the Maritimes it just has a sense of comfort and home. And I’m sure it is for most of us. 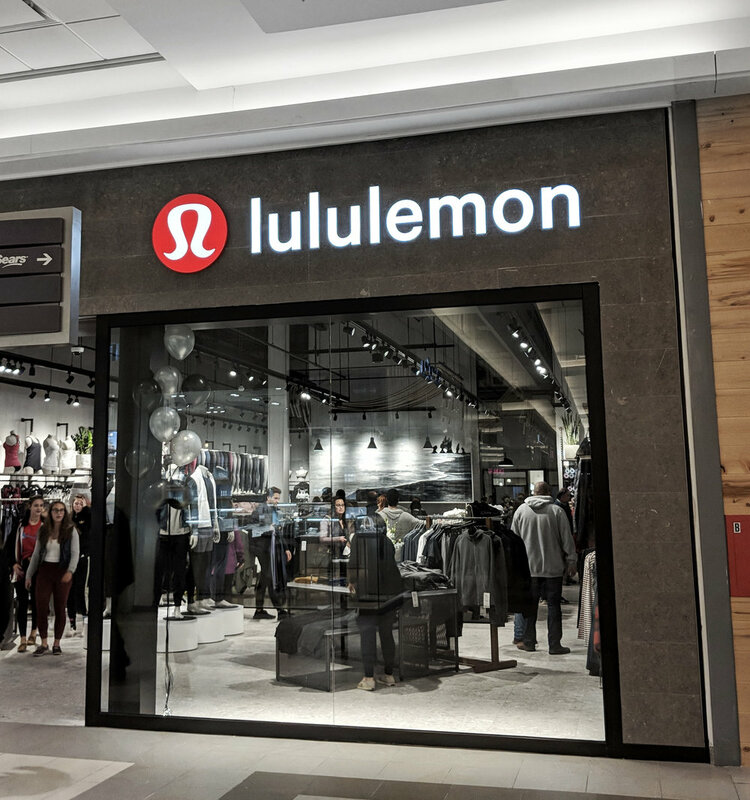 The calmness of the waves and shoreline portrayed was a call to the yoga lifestyle that Lululemon is known for. 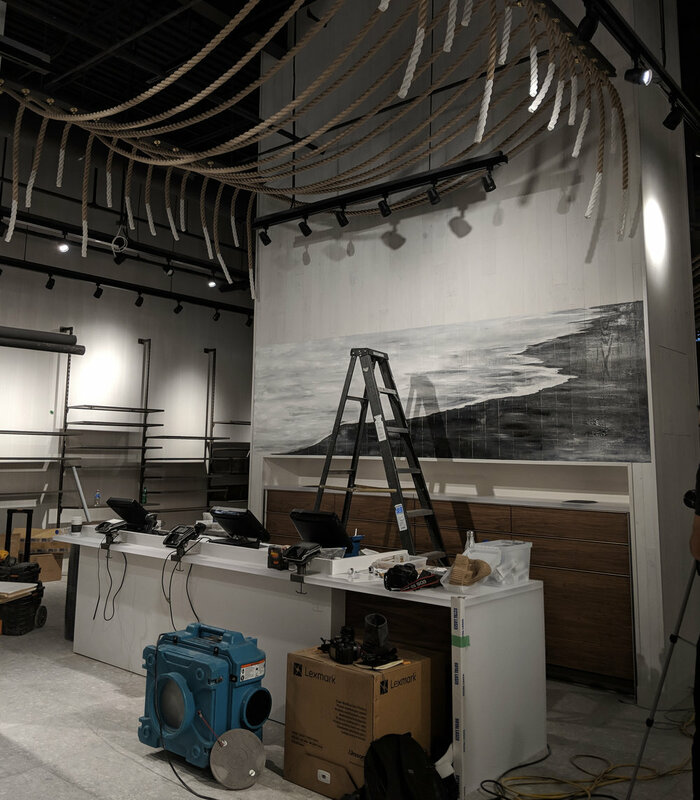 The entire installation is close to 6ftx13ft and is done with acrylic on white washed boards. I bought along videographer, Marcus Rogers to capture the making of this piece and the memory of such an exciting collaboration. Thank you Marcus!! !